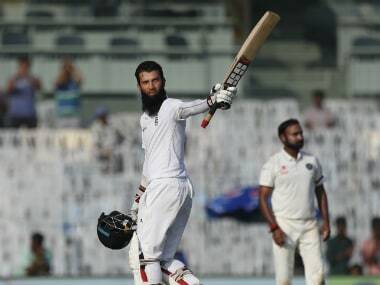 Chennai: Moeen Ali struck a gritty century as he combined with Joe Root to put England on a strong footing on the opening day of the fifth and final Test against India in Chennai on Friday. 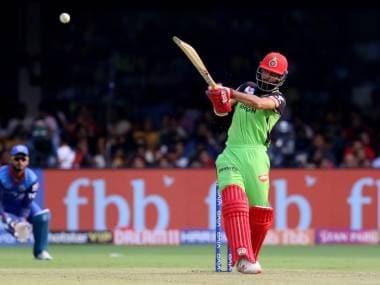 The tourists were 284 for four at stumps with Ali (120) and Ben Stokes (five) at the crease after they elected to bat first at Chennai's MA Chidambaram Stadium. Ali mounted crucial partnerships with Root (88) and Jonny Bairstow (49) to revive the England innings after the visitors lost their openers in the first hour of play. Ali's 146-run third-wicket stand with Root remained the highlight of the innings even as a persistent Ravindra Jadeja claimed three wickets for India. Ali, who recorded his second century of the series, piloted the innings after the fall of Root. In-form Root, who completed his fourth half-century of the series post lunch, steadied the ship after the fall of Keaton Jennings (1) and skipper Alastair Cook (10). Root started off patiently but soon took the attack to the opposition camp as he smashed 10 boundaries before being caught behind off Jadeja. The Englishman was given not out by the on-field umpire but India successfully reviewed the decision after a disturbance in the snicko suggested the ball had grazed the bat before going into the keeper's glove. Root, who missed out on what would have been his second ton of the series, did not seem happy with the call as he dejectedly walked back to the pavilion. Ali showed grit during his controlled knock as he carried on the good work with Bairstow, who fell one run short of his half-century. The left-right batting combine of Ali-Root and then Ali-Bairstow thwarted the Indian bowling attack which had looked dangerous in the morning session. Ishant Sharma, back in action after an illness, struck first for the hosts on a moisture-laden pitch. 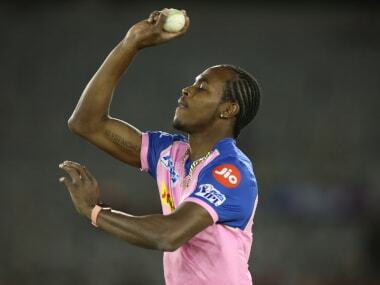 The lanky fast bowler got Jennings, who impressed on his debut with a century at Mumbai's Wankhede Stadium, caught behind for one. England's all-time leading run-scorer Cook got past the 11,000-run mark on the first ball of the match, but he quickly fell to Jadeja. Left-arm spinner Jadeja claimed the England captain's scalp for the fifth time in the series after the left-handed opener was caught at slip by his opposite number Virat Kohli. 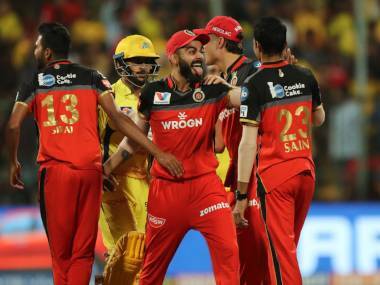 The Indian players wore black arm bands as a mark of respect for the popular Tamil Nadu state chief minister Jayalalithaa Jayaram, who passed away last week.